When entering school, kids are not empty pots. They know many things, including things about the past of their society. Getting into the body of this historical knowledge is an interesting business. It reveals to what extent assimilated family souvenirs and community memories and templates are important in shaping children’s historical knowledge and historical consciousness. If family souvenirs and community memories are structural components in kid’s historical consciousness, they also represent limitations to take students out of the mythistories – a mix of brute facts and historical romance – they’re trapped in when telling the past. One of the main challenges to teaching the past to kids is to get them outside the thinkable they’ve been accustomed to in living in a particular society and being subjected to its broad representations. What young people do and do not know about the past is frequently discussed in news media and in political debate. 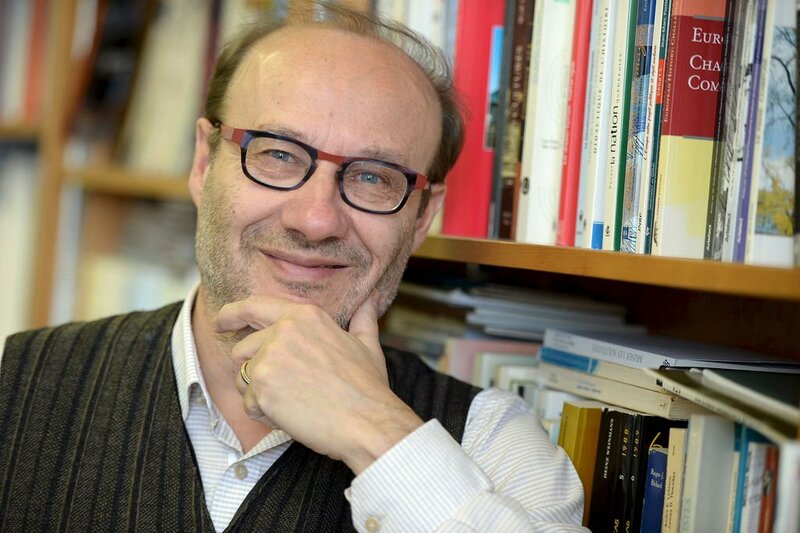 Young people are typically presented as having a knowledge deficit in these discussions and it has become almost a truism to claim that the young know little or nothing about history. 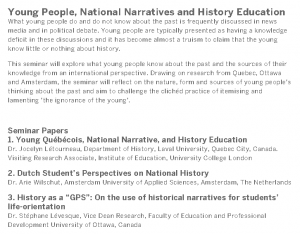 This seminar will explore what young people know about the past and the sources of their knowledge from an international perspective. 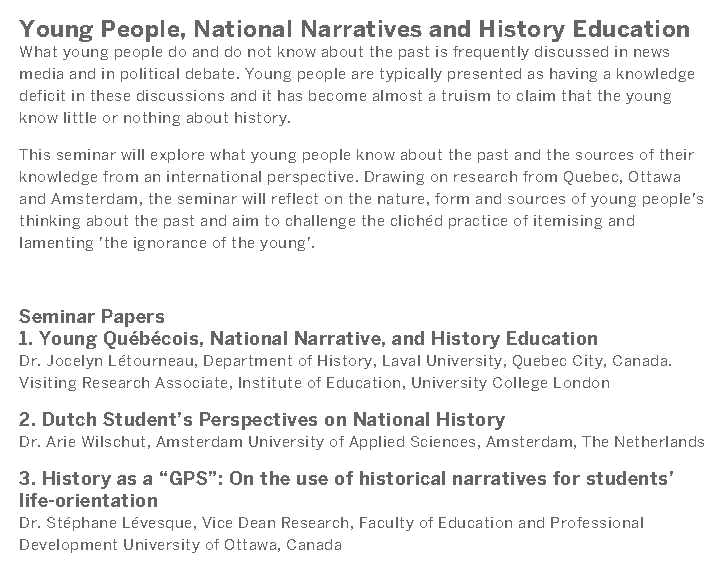 Drawing on research from Quebec, Ottawa and Amsterdam, the seminar will reflect on the nature, form and sources of young people’s thinking about the past and aim to challenge the clichéd practice of itemising and lamenting ‘the ignorance of the young’.